GK Design Group’s history dates back to 1953, when in Tokyo Japan, six former students of the Tokyo University of Fine Arts and Music formed GK Group. It wasn’t until 1957 that GK group expanded into GK Industrial Design Associates and Kenji Ekuan became the President. GK was the first group design practice in post-war Japan. Global Network GK Design Group is a global network, consisting of offices in Japan, the United States, Europe, and China. With GK Design Group as the core company, there are five design companies by specialization in Tokyo, and two regional design companies- one in Kyoto and one in Hiroshima. 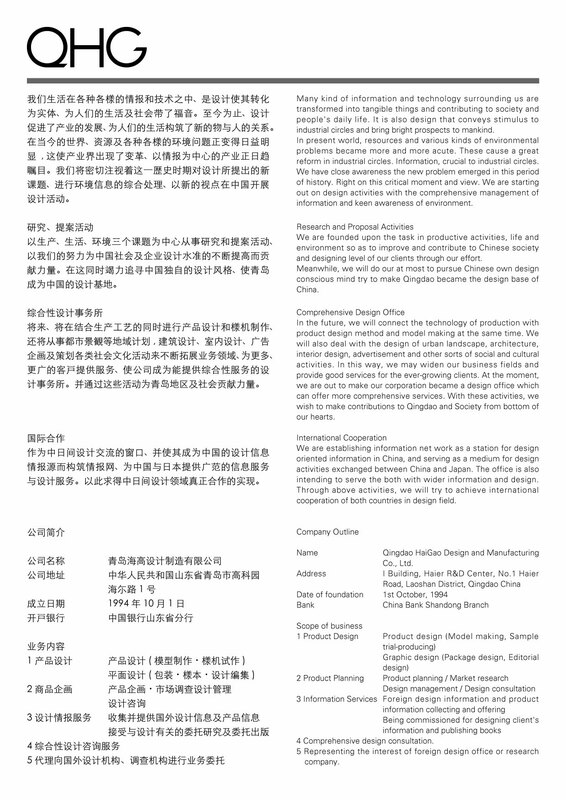 After establishing GK design’s first international office (GKDI in Los Angeles), the GK group has added offices in Amsterdam and China, to expand GK’s design activity worldwide. GK Design Group Incorporated Manages and operates the entre of GK Group. GK Industrial Design Incorporated Research, planning and contracting for national projects. GK Sekkei Incorporated Provides planning and design services. GK Graphics Incorporated Provides a wide range of graphic services. GK Dynamics Incorporated Handles an entire range of design. GK Tech Incorporated Experts in technology development oriented design.